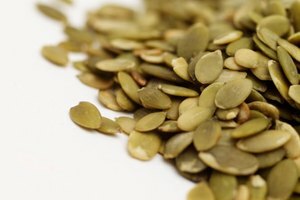 You can add sprouted sunflower seeds to salads, use them as a garnish or tuck sprouts into sandwiches to kick up the flavor and add a boost of nutrients. 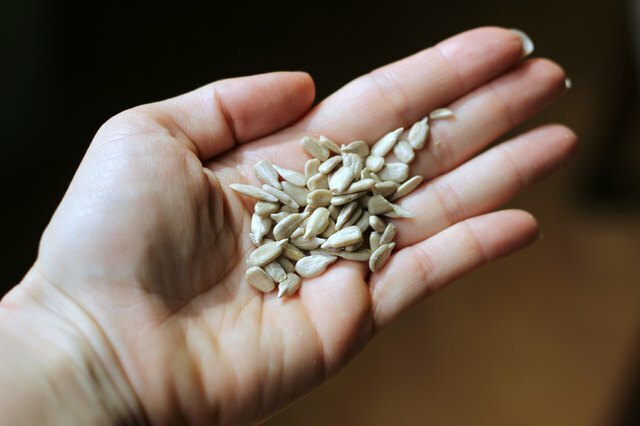 Unlike other seeds grown for their sprouts, sunflower seeds can't be germinated and grown is a glass jar. 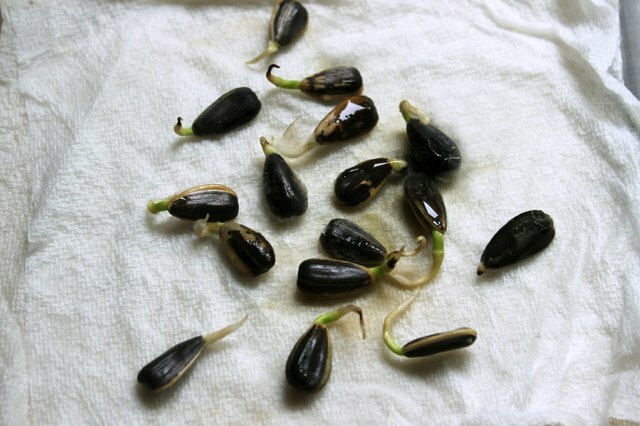 How you germinate them depends on whether you are using seeds in the shell or hulled sunflower kernels. Sprouting hulled sunflower kernels provides you with tasty, nutty sprouts to add to smoothies or tossing in a salad. These tiny nuggets are barely larger than a seed; they can be sprouted and eaten with 24 hours. To sprout hulled sunflower kernels, rinse them thoroughly in cold water to remove any debris from packaging. 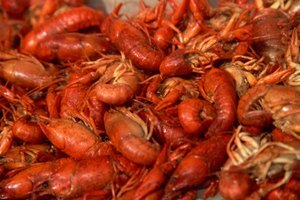 Place them in a bowl of water and allow them to soak for 12 hours. The tiny kernels will swell slightly. Drain the water and remove any skins that cling to the kernels. Allow the kernels to set for another 12 hours at room temperature to encourage sprouting. A tiny white sprout should be visible at the pointed end of the seed. Your sprouted sunflower seeds are now ready to eat. 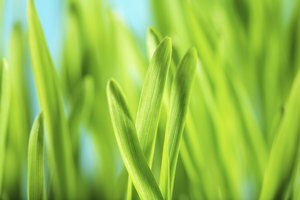 If you prefer something a little greener, sprouting your sunflower seeds in the shell may be more to your liking. These sprouts produce tender, green shoots and leaves to add to salads and sandwiches. 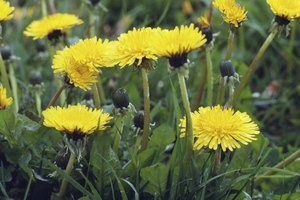 While they are not as nutty as sprouts from hulled sunflower kernels, they more than make up for it with their tender stems and leaves. 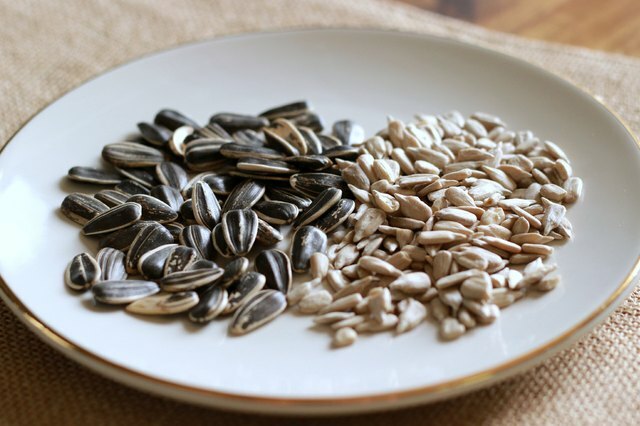 To sprout sunflower seeds in the shell, wash the seeds in cold water to remove any chaff or bits of stems. 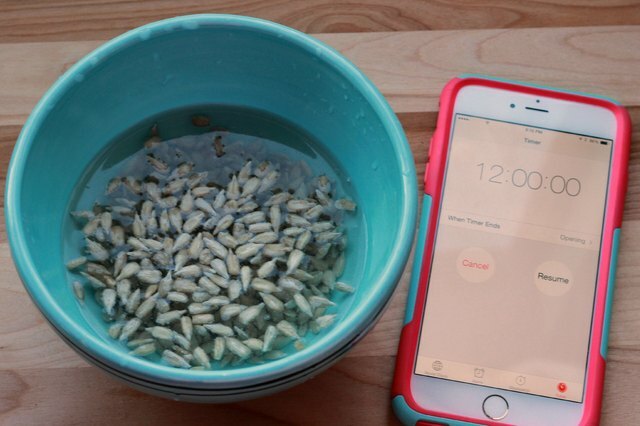 Soak the sunflower seeds for 12 hours. Meanwhile, prepare a shallow container by layering the bottom of the container with about 2 inches of potting mix. 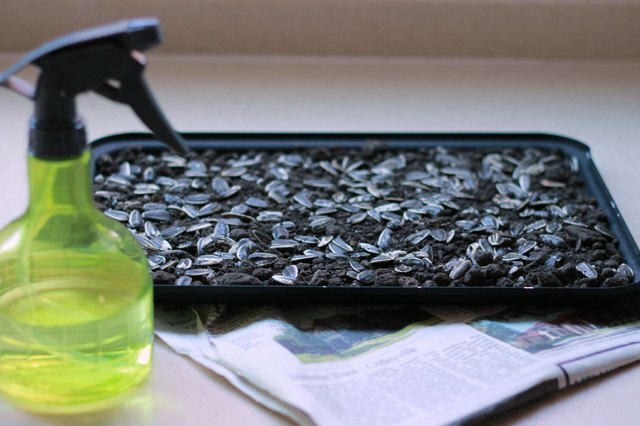 Drain the sunflower seeds and spread them in a single layer over the soil. Press the seeds into the soil with your hands. Water them and cover the seeds with newspaper. Place the seed tray in a sunny location to sprout. Water them daily by moistening the newspaper, using a spray bottle to lightly mist the paper. Remove the newspaper and harvest the sprouts, by cutting them at the soil level, when the first two leaves have formed. Rinse the sprouts in cold water and serve. 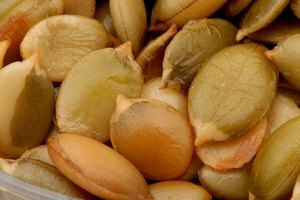 Both sprouted kernels and sprouts from seeds can be stored in the refrigerator for a day or two if necessary, but they are best when eaten fresh. 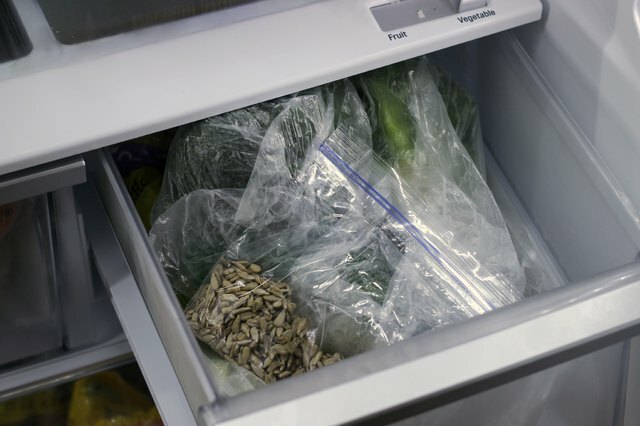 Place them in a food-storage bag and store them in the vegetable tray of the fridge.